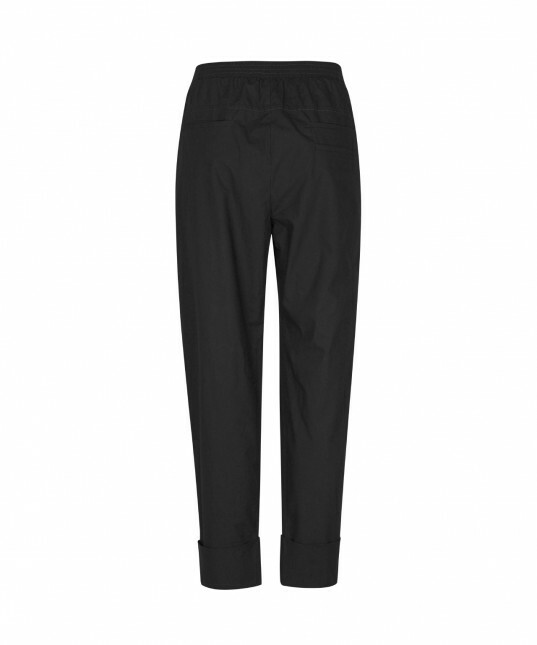 Heavy cotton pant features elastic back waistband, waist tie sewn at side seams with d-ring fastening, side pockets and panel details at leg. 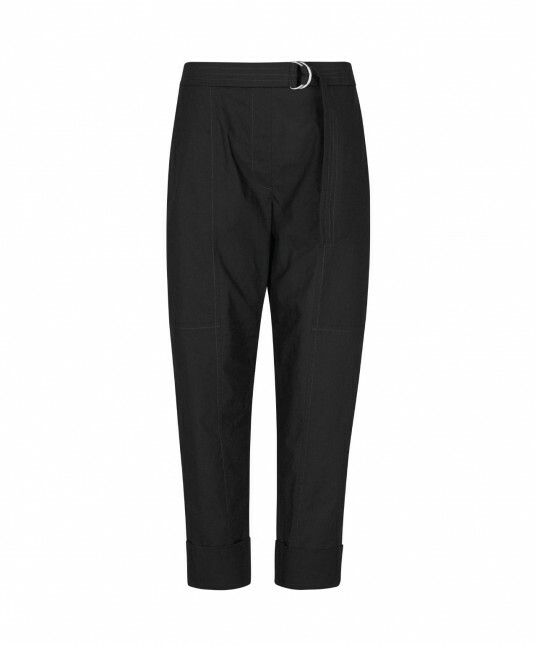 Rolled pant cuff and back double jet pockets. 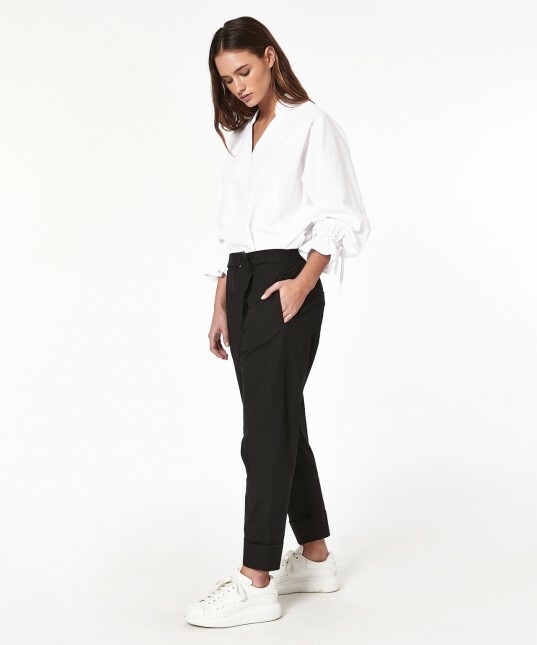 Relaxed style / Fits true to size/ Pull on Pant / Mid waisted.